David LeRoy Claussen (January 24, 2010) | Burmeister-Johannsen Funeral Home, Inc.
David LeRoy Claussen, the son of Albert John and Doris Mae (Deen) Claussen, was born on March 23, 1943, in Bridgewater, Iowa. He attended school at Monroe #6 and graduated in 1961 from Elk Horn (Iowa) High School. On July 10, 1965, Dave was united in marriage to Deloris Lorraine Hall at the Peace Lutheran Church in Walnut, Iowa. One child, Christi, was born to this union, and two children, Michelle and Mike, were adopted. Dave worked for several neighbor farmers as a youth and then at the pork plant in Harlan, Iowa, until he started farming on his own. He raised hogs and cattle. Dave was a member of the Monroe Methodist Church in rural Shelby County, Iowa. He enjoyed hunting deer and coyote, visiting family and friends, having coffee with the regular coffee crowd, and being ornery. He helped neighbors and would do anything for anyone. Dave also liked to spend time in his shop, cutting wood crafts for Deloris to paint. He hatched game birds (ducks) and in his later years, repaired antique tractors. 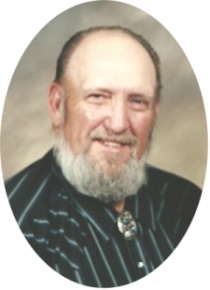 David L. Claussen died on Sunday, January 24, 2010, at his home in Elk Horn, Iowa, at the age of 66 years, 10 months, and 1 day. Dave was preceded in death by his parents; one daughter, Christi; and his stepmother, Beryle. He is survived by his wife of 44 years, Deloris Claussen of Elk Horn, Iowa; one son, Mike Claussen of Atlantic, Iowa; one daughter, Michelle Bensen of New York; two brothers, Lynn (JoAnn) Claussen of Oakton, Virginia, and Gary (Janice) Claussen of Walnut, Iowa; four grandchildren; nieces and nephews; and other relatives and friends. Funeral services were held on Wednesday, January 27, 2010, at the First United Methodist Church in Harlan, Iowa, with Rev. Dave Swinton officiating. Diane Book was the organist. Serving as honorary casket bearers were Denny Jensen, John Sampson, Bob Sorensen, Dave Sampson, Harry Roenfeld, Charlie Martens, Joe Petersen, Jeff Hansen, and Dave Muttum. Active casket bearers were Travis Hall, Mick Sager, Trent Wolken, Todd Larsen, Gary Martens, Dustin Jansen, and Walt Jacobsen. Burial was in the Layton Township Cemetery in Walnut, Iowa. The Burmeister-Johannsen Funeral Home in Harlan was in charge of the arrangements. Condolences may be left online at www.burmeisterjohannsen.com. Lots of fun memories with Dave–will always remember him. Deloris you and your kids are in our thoughts and prayers!! Will have you and the kids in my thoughts & prayers Deloris.